Over 45 years ago, Augusta began as a craft and folklore program with an emphasis on traditional Appalachian culture. Today, week-long craft and folklore workshops are offered throughout the summer session alongside music and dance workshops, concerts, public dances, and special presentations that cover the history and literature of many traditions. Craft and folklore workshops are limited in size, with minimum ages for some workshops for safety reasons. Workshops meet all day, typically from 9 a.m. to noon, breaking for lunch, and resuming from 1:30 to 4 p.m. Our craft studios often buzz with activity late into the night as participants immerse themselves in their projects. Participants register for one workshop for the week. Each workshop builds upon information presented the previous day. Kevin M. Woodcock was born and raised in the suburbs of New York City. After high school he traveled to West Virginia to visit a friend and was attracted to the mountainous beauty of the state. Kevin moved to Morgantown where he received his Bachelor of Fine Arts degree in Printmaking from West Virginia University. He met his wife, Mel, in Elkins through mutual friends. Kevin and Mel moved to Baton Rouge, Louisiana where he received his Master of Fine Arts degree in Printmaking at Louisiana State University. They moved back to West Virginia in 1989 and have lived in Elkins since 1992. Kevin creates his visual artworks at his home studio and at the Design Studio at D & E College where he works as a full time Art Faculty teaching Screen Printing, 2D Design, Intro to Printmaking, Beginning Painting and Color Concepts. Kevin also is involved with the ArtsBank Earth and the Arts program. This workshop serves as an introduction to traditional metalworking techniques for the beginning blacksmith, and will be taught as a combination of demonstration and personal instruction. The workshop will begin with a discussion of best safety practices, and move on to starting and maintaining coal-fueled forges. Participants will learn fundamental forging processes including tapering, drawing out, splitting, and scrolling. Participants will then combine these basic techniques to create various functional and decorative pieces such as wall hooks, fire tools, and other types of hardware. The workshop will also make time for participants to work on personally selected projects for which the instructor will provide assistance on process and design. A limited number of spaces will also be open to those with prior experience to work on personally selected projects with design and technical guidance from the instructor. All participants should bring a cross-peen hammer and a set of tongs, as well as eye and hearing protection, welding gloves, and closed-toed shoes. 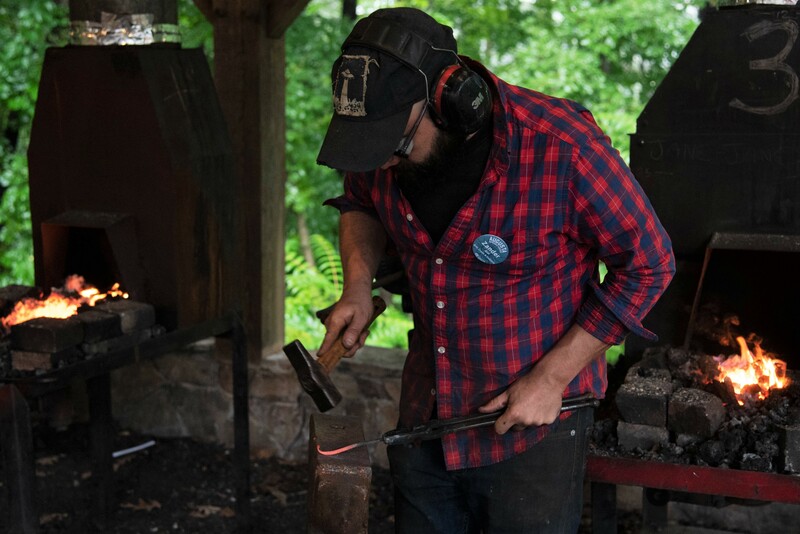 Zander Aloi is a blacksmith and West Virginia native. His first experience in the craft was through a workshop with Augusta as a high school student. Afterward, he worked on the student-run blacksmith crew while studying history at Warren Wilson college in Swannanoa, North Carolina. He has since gone on to work as a smith in living history sites, instructional settings, and production shops in West Virginia, Michigan, and North and South Carolina, as well as working on various public history and historic preservation projects. In his work as an independent craftsman, he focuses on adapting traditional forms and processes to fit modern uses. Learn the secrets of the Cajun kitchen, from roux to sauce piquante and étoufée, the typical home-style cooking which is an essential part of the culture of southwestern Louisiana. Michelle Brown and Judie Smith will assist. Materials fee approximately $50, payable to workshop leader. Ages 16 & up. 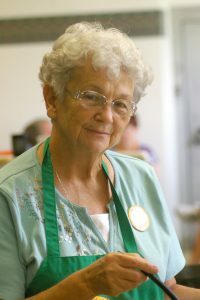 Jackie Miller from Iota, Louisiana, is a prizewinning cook and the author of two Cajun cookbooks. 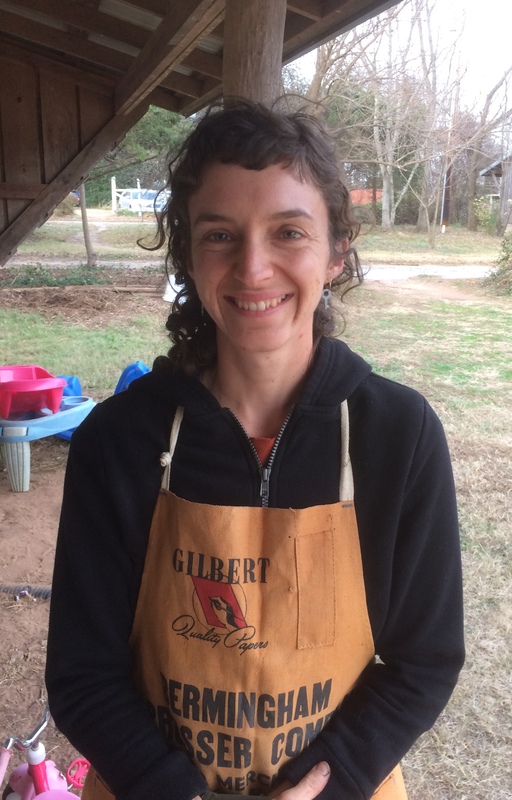 She teaches the secrets of authentic home-style Cajun cooking. She will be assisted by Judie Smith. Luanna Moore was born and raised in the Elkins area. Her interest in the Mountain Dulcimer was sparked when she was a student at Berea College in Kentucky and had the opportunity to hear and see Jean Ritchie in concerts and workshops. Her father, a woodworker, made her first dulcimer from plans in Popular Mechanics. She carried her dulcimer to camps around the state, playing popular camp and folk songs of the sixties. In the 1980s, she took her first Augusta class and learned to play with others and use chords. Since that time, she has taken more Augusta classes, and participated in workshops in Kentucky, Ohio, and West Virginia. She is a regular at Pickin’ in the Park here in Elkins. 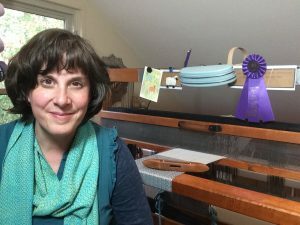 She teaches weekly classes in mountain dulcimer at the Homestead Community Center and the Elkins Senior Center, where she also teaches hammered dulcimer. She leads workshops annually at Pattyfest and teaches tunes for the Mountaineer Dulcimer Convention. She has introduced hundreds of school students — pre-K through 12th grade — to the mountain dulcimer. She entertains at nursing homes, senior center events, churches, and many other local groups. Through teaching, she continues to pass on the heritage and the music of the dulcimer to others. 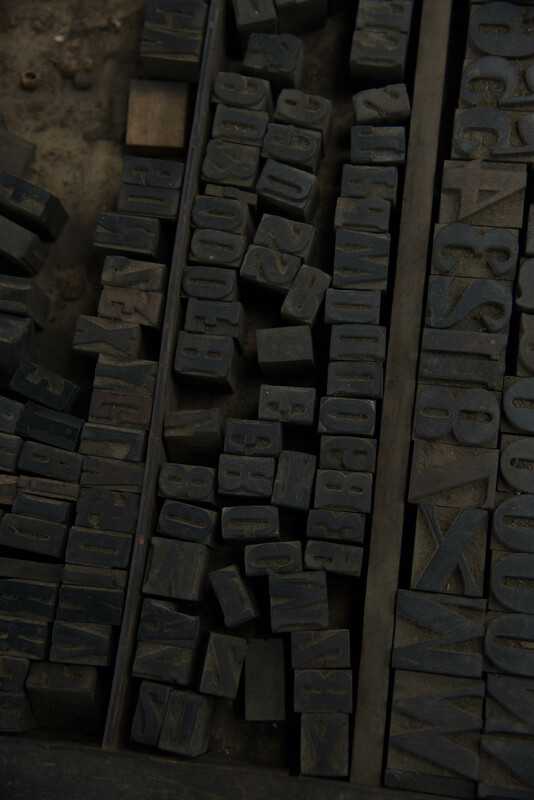 Letterpress printing has its roots in centuries-old traditions, essentially dating back to Gutenberg. Wood engraving is a traditional letterpress relief image-making process. In this workshop, participants will use these time-honored processes to design, set, illustrate, and print a limited edition work using a vintage printing press. Through this creative process, you will learn how to use traditional wood engraving tools, the processes of hand setting wood and metal type, and how to ink and print your work on a letterpress. Participants are encouraged to bring words and imagery as inspiration for their pieces. No previous experience is necessary. Materials fee $35, payable to workshop leader. Ages 16 & up. Sarah Brown is a wood engraver and letterpress printer. She has been making some form of art since she could hold a tool, but she honed her basic printing techniques at West Virginia University. A few years later, she saved a couple tons of letterpress printing equipment from the scrapyard of Phillipi, West Virginia, then dove head first into the vast world of letterpress printing. 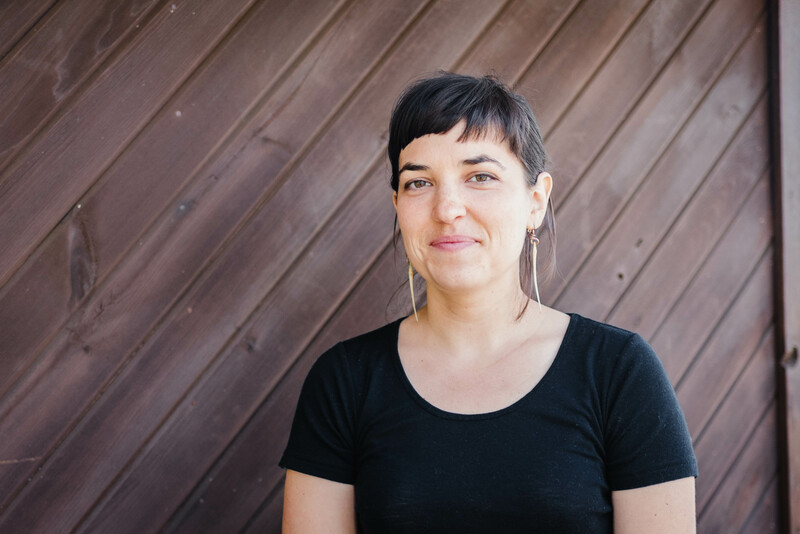 She combined her hours of personal work with the knowledge she gained during two internships, one with Igloo Letterpress and the other with Power and Light Press, to perfect platen press printing. 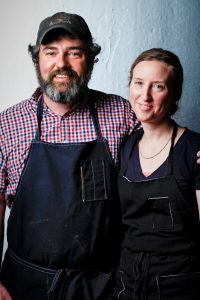 Early on in her letterpress career, she took the Wood Engraving and Letterpress Printing workshop at Augusta from Jim Horton, and now, years later, they just completed a year-long apprenticeship program together. Letterpress printing is alive and well, and there have been big strides made in modernizing the process. 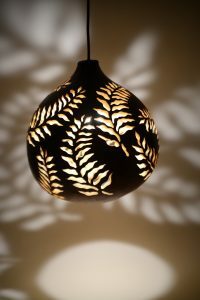 Though Sarah has learned how to use these new methods, she has chosen to stick with the most traditional processes, like using hand set type and hand-carved and wood engraved images. As the Mastermind of Questionable Press, she uses these traditional skills and her few tons of equipment to create unique little pieces of whim-wham and ephemera. Berry baskets are the first containers humans created. 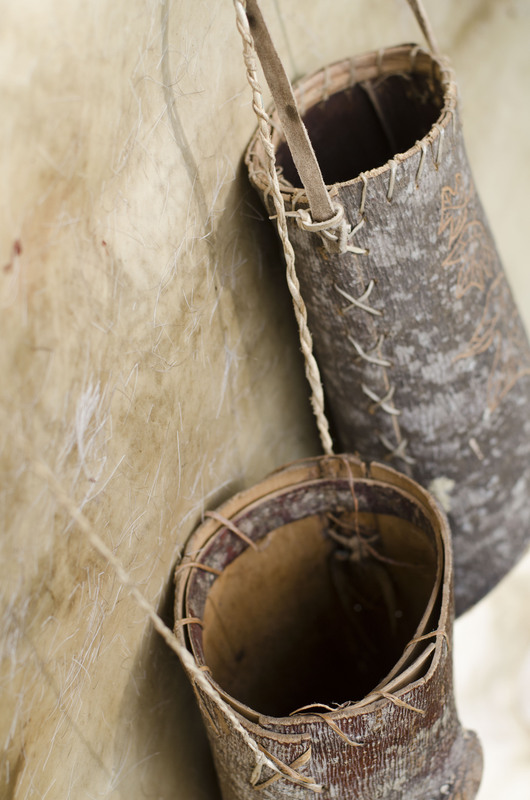 In the Appalachian region, tulip poplar bark is the most commonly used material to create these baskets. The class will cover what other tree barks can be used, best time of the season to harvest, as well as best harvesting practices. Each student will get to peel off the Tulip Poplar bark & getting on hands on experience of harvesting the materials. Once all the tulip poplar bark is transformed into containers, the baskets will be filled with plants, berries, stories and memories as Talcon leads you thru the woods to share knowledge of plants, animals and humans interactions with the natural world throughout history From common herbs you can find in any yard around North America to treat a bug bite, to rare orchids that can heal broken hearts; Talcon will share with you some practical and dear folk remedies. Sustainable and ethical harvesting is of the utmost importance to her, so though you will get to harvest herbs for creating a slave and a tincture, what herbs are harvested will be decided in the field. As a group you will go thru a check list to make sure proper harvesting techniques are being practiced to ensure that the plants come back hopefully even stronger than before. Folk medicine is passed down in an oral tradition. It is learned by spending time in the woods with others who spend time in the woods. Talcon Quinn adores being in the natural world and sharing stories. She looks forward to not only teaching you how to craft a berry bucket, make a salve and prepare a tincture; but to also hear the stories you have to share & to create new ones as a group. Materials fee $70 – 80, payable to workshop leader. Ages 13 & up. Talcon Quinn is a native of southeastern Ohio and has traveled extensively in the States as well as abroad. She has been making jewelry for over two decades and weaving and tanning leather for more than ten years. She has completed multiple programs in herbalism, wildcrafting, survival skills, and midwifery. Talcon has dedicated much time to studying and practicing these skills outside of these programs and has also befriended talented teachers across the globe to expand her knowledge and keep the tradition of folk teaching alive. 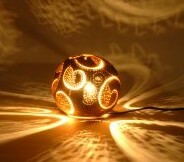 She has also challenged herself to obtain materials for her crafts in an ethical and sustainably sound way. 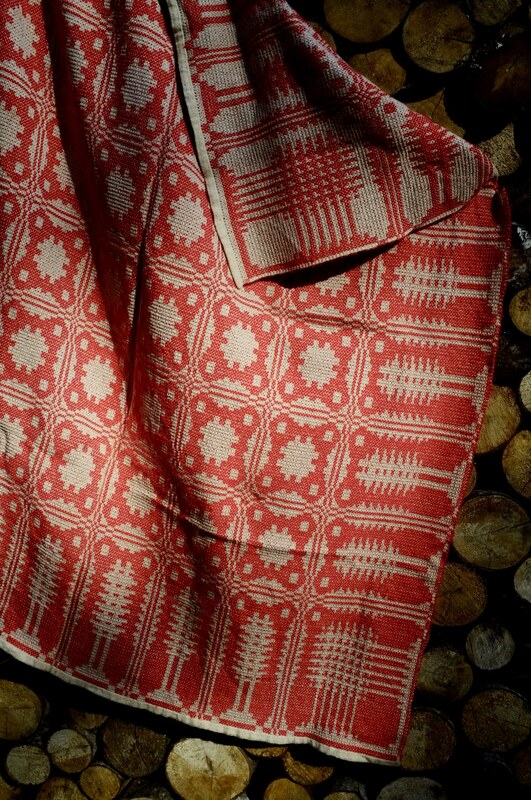 Traveling and learning from others in the folk tradition keeps the stories, history, and culture of the crafts alive. Talcon strongly believes that it is important for humans to understand where we came from, how our ancestors lived, and the stories they shared about plants, animals, crafts, and the world around them. 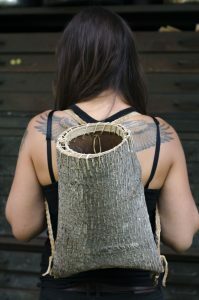 By teaching and practicing these old and not yet forgotten crafts, she strives to inspire others to slow down and connect with the natural world. She hopes to create waves of change and inspiration for everyone to respect themselves, each other, and the world in which we live. Historically, weaving was passed from generation to generation and in this class we hope to honor the old ways of passing on knowledge by inviting advanced weavers to learn new techniques alongside beginning weavers who are just getting their start. In this class we will explore traditional and historical weaving drafts collected in the Appalachian region and use them for inspiration to design kitchen textiles. Using Frances L. Goodrich’s Brown Book of Weaving drafts, students will get to learn about historical Appalachian textiles and their production. For beginner weavers we’ll learn to warp and weave on floor looms and take inspiration in the colors and time honored methods of weaving for the homestead. For more advanced weavers, you can learn to use block drafting methods to manipulate overshot patterns to make your own unique creations. After designing or finding patterns that suit each students understanding of woven structures, students will warp and set up their looms for weaving. 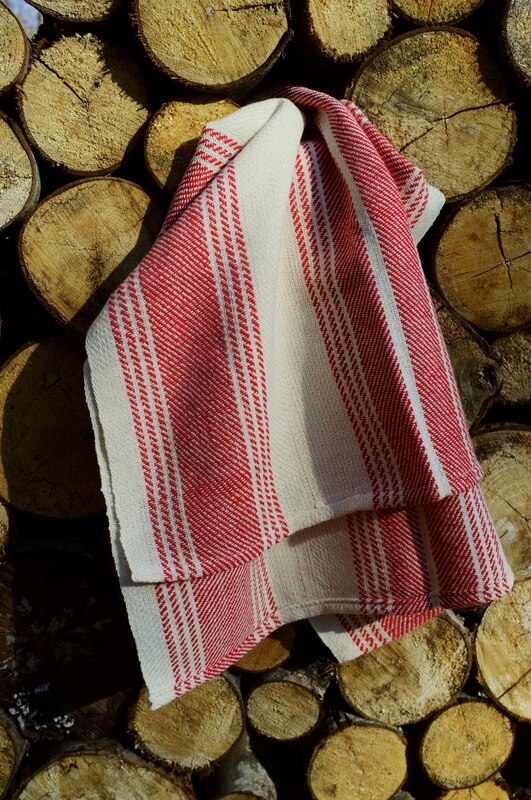 Using these methods, and developing drafts students can expect to weave beautiful kitchen towels, placemats, napkins, and/or table runners depending on their weaving pace. Materials fee $60 – 70, payable to workshop leader. Ages 12 & up. Rachel Slaughter is a weaver and farmer from Johnson City, TN. Growing up in Louisville, KY she learned to weave in high school at the Little Loom House. 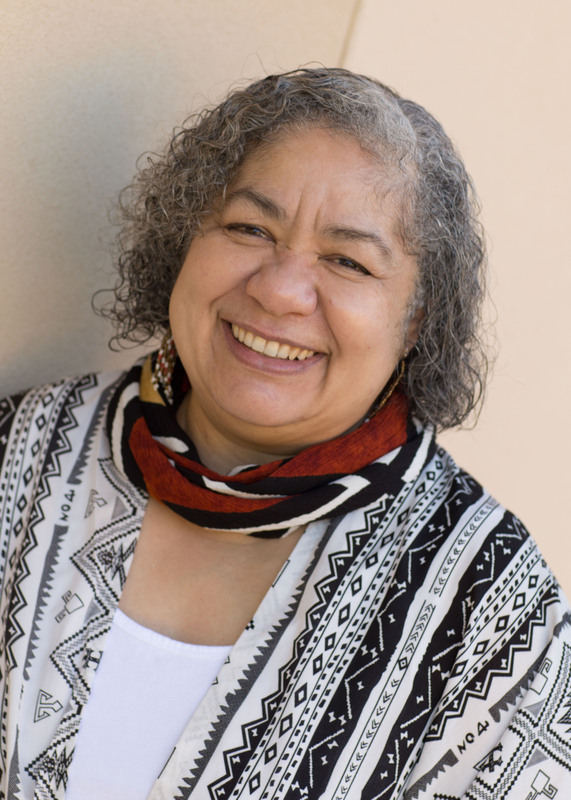 She continued weaving at Warren Wilson College’s Fiber Arts Studio while studying international relations. Since finishing school, Rachel has taught weaving and fiber arts in schools, colleges and community centers throughout the southeast. 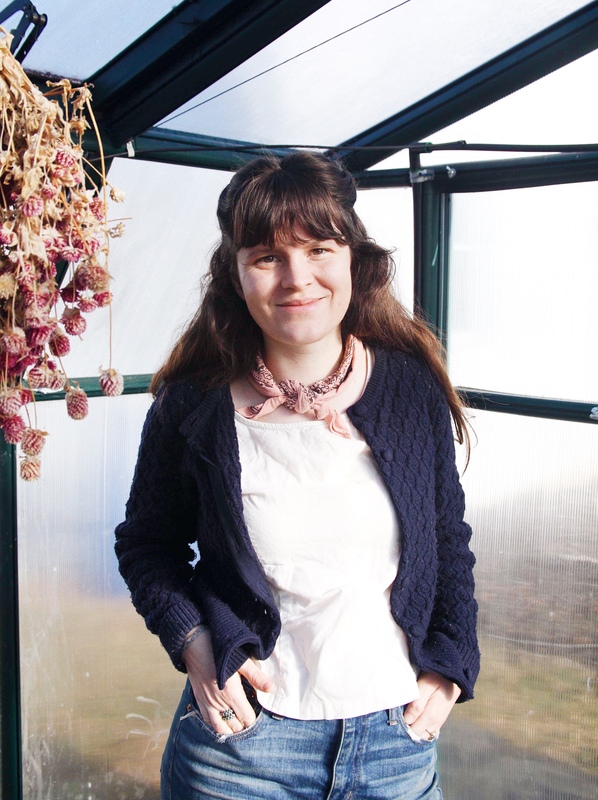 She works to combine her passions for farming and textiles by raising sheep, growing cotton and flax, and various natural dyes to use in her textile production. Her current work focuses on using natural, U.S. produced fibers to create modern takes on traditional Appalachian overshot patterns. This two-week course provides a unique opportunity to build a basic parlor guitar from scratch using traditional building techniques and aesthetics from the golden era of guitar building (1900-1930s). We will build an unadorned ladder-braced small-bodied guitar with domestic hardwoods and a 12 fret to the body neck. This is not a kit-building course but some materials will be prepped for you so that we can complete the guitar in the allotted time. During week one, participants will learn how to hand bend guitar sides, mix and use hot hide glue, cut a soundhole, glue top and back braces, assemble the guitar body, lay out the neck, and cut a traditional dovetail neck joint. Week two will continue with carving the neck with drawknife and spokeshave, applying shellac and a French polish finish, fretting, gluing a bridge, and setting up the guitar with nut, saddle, and tuners. While our goal will be to leave with a finished guitar, more importantly students will gain a good understanding of the process of guitar construction and the confidence to carry out these skills with your own hands. All tools will be provided although we will be taking turns with some of the specialized tools. If you have any of your own tools that you’d like to bring or think would be helpful, please contact Aviva in advance. A materials fee of $300, payable to the workshop leader, will cover all wood and hardware (tuners, bone nut and saddle, bridgepins, endpin, fretwire, and strings) needed to build your parlor guitar. At the end of the course there will be an option to buy some of the jigs and tools that we used. Familiarity with stringed instruments and good listening skills is a must. Woodworking experience is helpful but not required. In Appalachia, we talk often of the traditional repertoire in the context of music or crafts, but rarely when it comes to writing. Still, a hundred years of literature has sprouted from this ground—poetry and storytelling styles evolving right alongside fiddle tunes and banjo styles. What is their relationship? How can you learn to write a better poem by better understanding the accomplishments of a Sarah Ogan Gunning or a Roscoe Holcomb? How about Irene McKinney? Jim Wayne Miller? What is it about this place that has given rise to such a prolific, particular artistry? In this generative workshop, we will read and write daily, asking questions about inheritance and innovation, origins and originality, as we explore a literary culture unique in the American idiom. 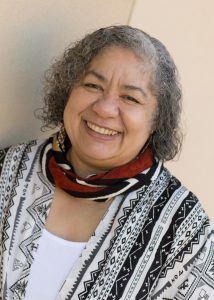 Rebecca Gayle Howell is a 2019 United States Artists Fellow. 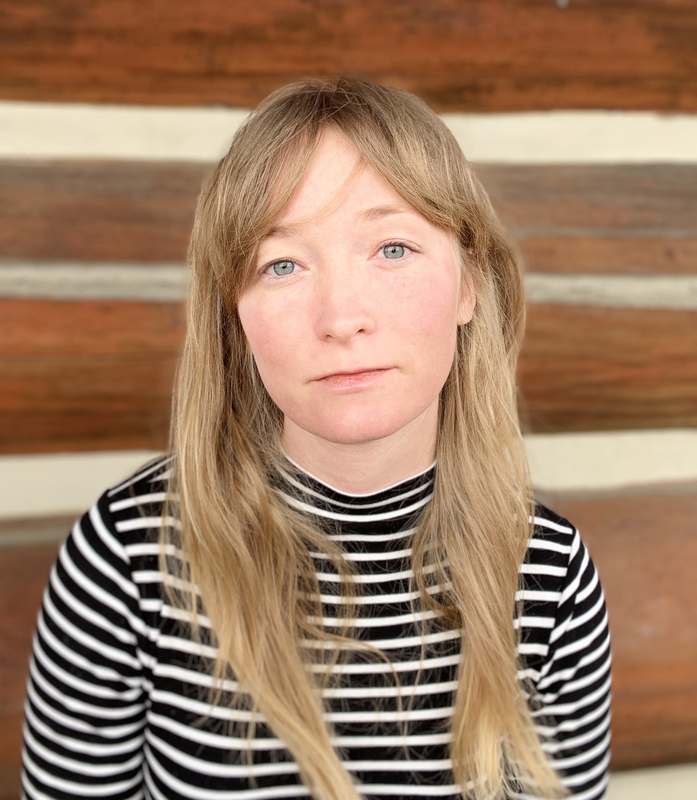 Her most recent book is American Purgatory, selected by Don Share for Great Britain’s 2016 Sexton Prize and named a must-read collection by Poetry London, The Millions, and the Courier-Journal. 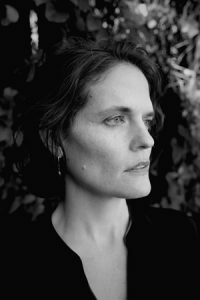 She is also the author of Render / An Apocalypse, which received wide critical acclaim, most notably by David L. Ulin for the Los Angeles Times who called it “remarkable.” Howell’s debut was as the translator of Amal al-Jubouri’s Hagar Before the Occupation / Hagar After the Occupation, shortlisted for the Best Translated Book Award and selected by Library Journal as a best book of 2011. 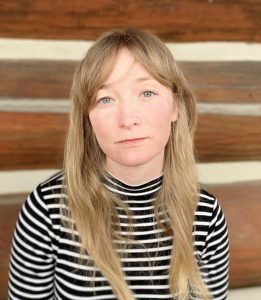 Among her other honors are fellowships from the Fine Arts Work Center in Provincetown and the Carson McCullers Center, as well as a Pushcart Prize. 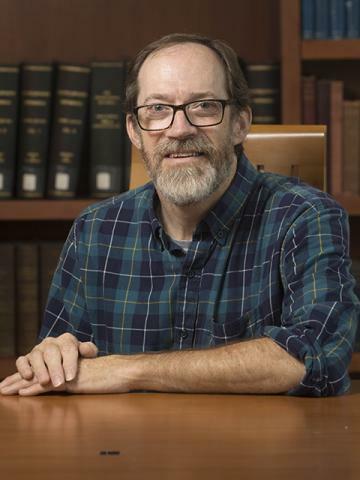 Howell is the Poetry Editor for Oxford American and serves as the James Still Writer-in-Residence at Hindman Settlement School in Knott County, Kentucky. If you can dream it, you can do it. 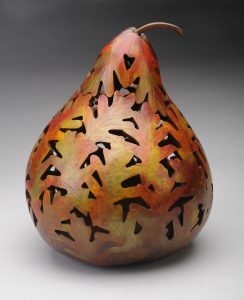 Spend a week with a talented and well known gourd artist and make your fantasy gourds! The goal of this workshop is to encourage participants to step out of their comfort zone and experiment with new techniques. The workshop leader will tailor the program to meet the participants’ needs, meeting them where they are, and helping them stretch their abilities to the next level. Materials fee $50 – $75, payable to workshop leader. Ages 16 & up. 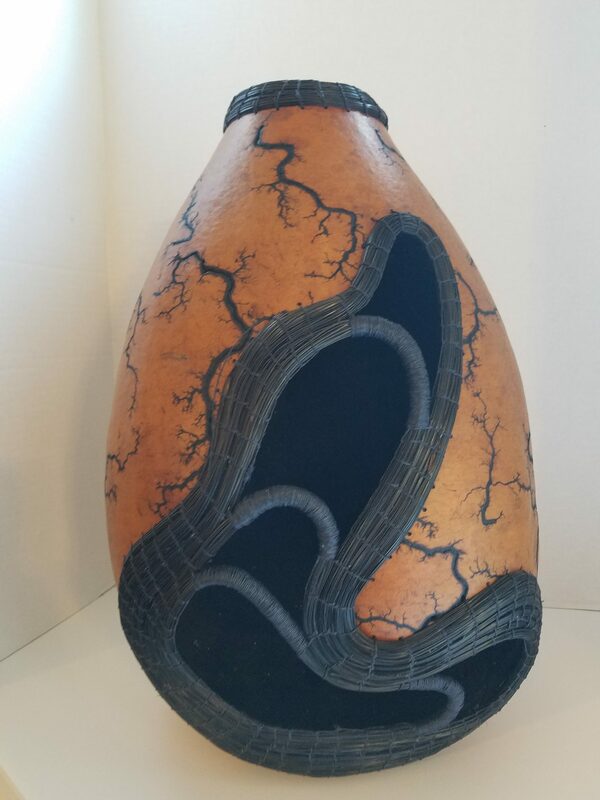 Susan (Suzi) Nonn, artisan and author, has worked with gourds for more than twenty years, and through her classes and coaching, encourages others to try gourd crafting. 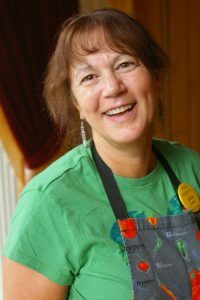 Suzi teaches gourd workshops at gourd festivals across the United States. (To see her current teaching schedule go to www.naturallyyoursgourds.com.) She coordinates the Gourd Gathering at Cherokee (North Carolina), the largest gathering of gourd artisans and classes on the East Coast. Nonn is also the author of Cut-Out Gourd Techniques, a book written to help gourd artists to improve their skills with the mini-saw. Her second book, Gourd Lights: How to Make 9 Beautiful Lamp and Lantern Projects was released in fall 2017. When not teaching, she can be found in her studio/garage enhancing gourds. Explore the diversity and transcultural traditions of Appalachian storytelling through its age-old heritage of African- American narratives. Discuss and compare stories to narrative concepts from your own families and communities–why and how do we relate to the “ancient” and “traditional” tales, and what importance do they have in contemporary education and life, common sense problem-solving and wisdom-keeping? 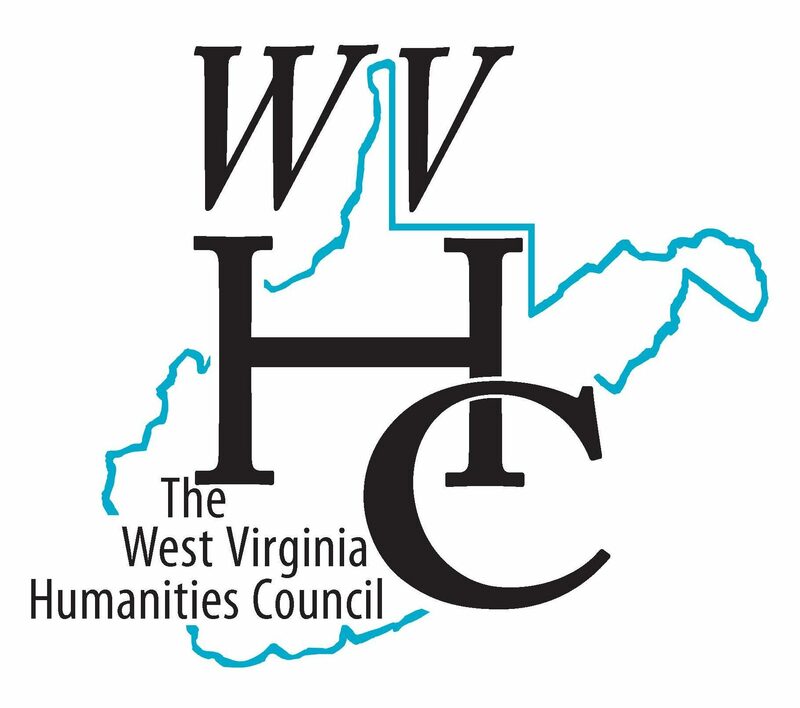 Trace the story map of the Appalachian Region and its impact on storytelling and story styles in other parts of the country. Experience unique story variants, and discover or rediscover motifs and characters sharing humorous, haunting and heartfelt common ground. Enhance your own spoken-word stylings, too; if you’re working on a tale to tell, we’ll help you nurture its development through the honing of your unique story-sharing tools, the practice and preparation of your presentation skills, and gentle communication and coaching in a joy-filled atmosphere. • for those participants who want to tell, gained a higher level of confidence in sharing their stories. • 20% demonstration, discussion, and lecture. • 20% experiential models of interaction/communication through story and exercises for vocal and physical expression. • 50% individual and group story “play” and presentation. • 10% Q & A and reflection. This workshop will explore Appalachia’s rich food heritage from a whole hog perspective, through butchering and preservation techniques passed down through the generations in north central West Virginia. We’ll learn to break down a whole heritage-breed hog from a local farm, preserving various parts for year-long use — shoulder cuts to make heritage sausage, leaf lard in storied pastries and desserts, salt pork in leather britches, and offals for charcuterie. Through hands-on demonstration and storytelling, we’ll take several side journeys into the traditions such as seed saving, salt rising bread, and pickles from the summer garden. No previous experience necessary. Closed-toed shoes and a reasonably strong stomach is needed for this class. Materials fee $100 – 150, payable to Lost Creek Farm. Ages 16 & up. 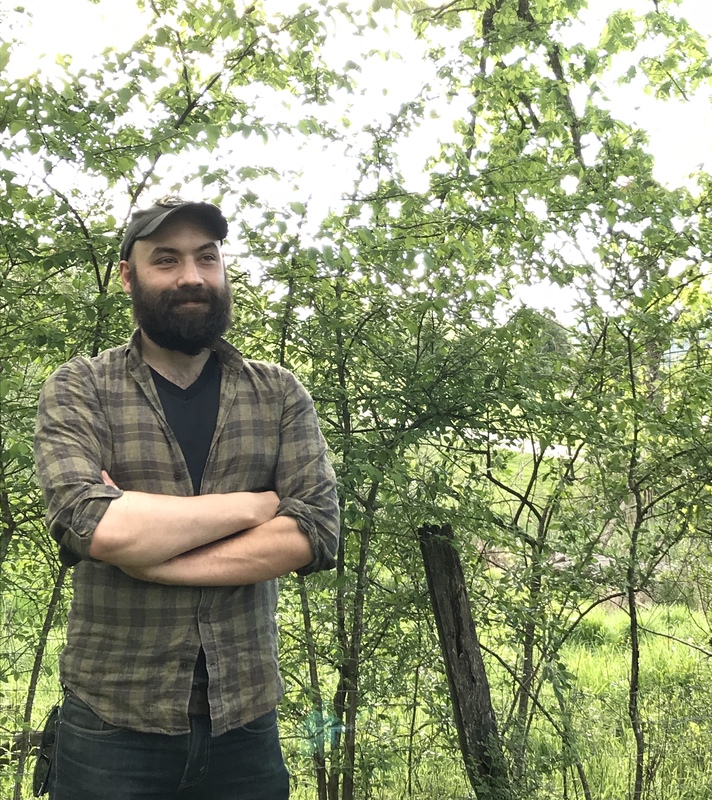 Mike Costello developed an appreciation for the relationship between land and food at an early age, roaming the fields and forests on his family’s farm, learning to string pole beans and bake traditional desserts from his grandmother. By high school, Mike knew he wanted to be a chef, but in local fine dining establishments he encountered a then-pervasive mentality that “quality” ingredients must be shipped to Appalachia from far away. This caused Mike to back away from his formal culinary education before it even started, instead going into the field of journalism. 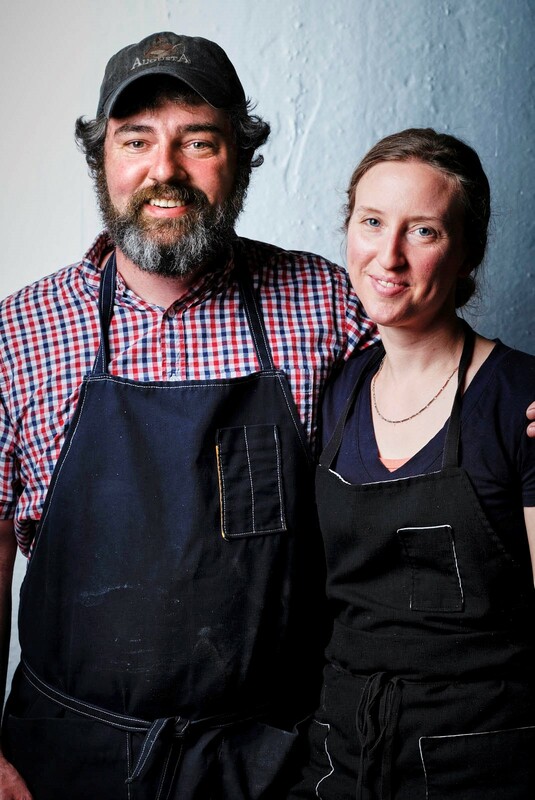 Though he’s taken a long, circuitous route to assuming his role as chef at Lost Creek Farm, he never losing sight of his early desire to open a culinary business that would make the Mountain State proud. Amy Dawson is a farmer, baker, teacher, and co-owner of Lost Creek Farm. She grew up in a farming family in the farming community of Lost Creek, West Virginia. As far as she can trace back (about six generations or so) her family has raised and slaughtered their own hogs in West Virginia. Growing up, she helped process the hogs every fall, butchering and preserving the meat, as well as gardening, handling cattle, canning, and other farm-based tasks. In college, Amy studied Geology and Law, but always felt a pull back to the farm. She returned to the farm to help start Lost Creek Farm, a culinary and farming business that highlights the local food-based techniques and stories of her part of Appalachia. Explore this beautiful and iconic weave structure which has been used for everything from antique coverlets to lovely scarves to kitchen towels! The class will look at the different draft methods for these weaves as well as warping the loom and weaving with two shuttles. The ability to independently warp a loom is recommended but the course is open to novice weavers. 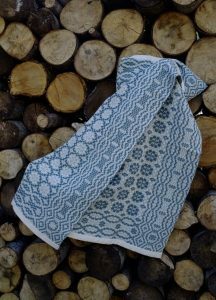 Students will explore overshot possibilities by weaving a series of “mug rugs” that could even be turned into a pillow top or a guitar strap. Looms and materials provided. Materials fee TBD, payable to workshop leader. Ages 16 & up. The workshop covers tree selection, log splitting and the making of stakes, splits, and handles for white oak baskets. 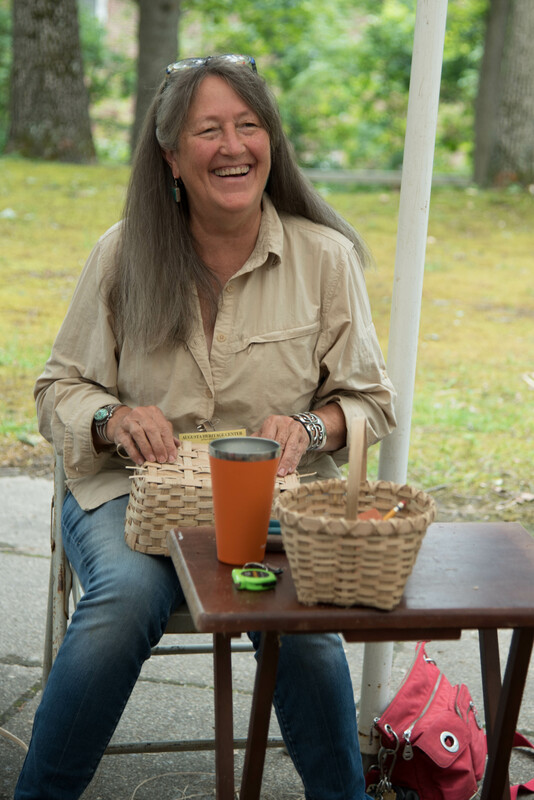 New participants will learn to make a small Williamsburg and a shopper style basket. Returning or advanced participants will have new projects. No previous basket making experience is necessary. The process requires some physical strength. All supplies will be provided. Materials fee $12, payable to workshop leader. Alan Miller is a retired West Virginia state forester and forest entomologist. He was inducted into the WV Agriculture & Forestry Hall of Fame in 2000. 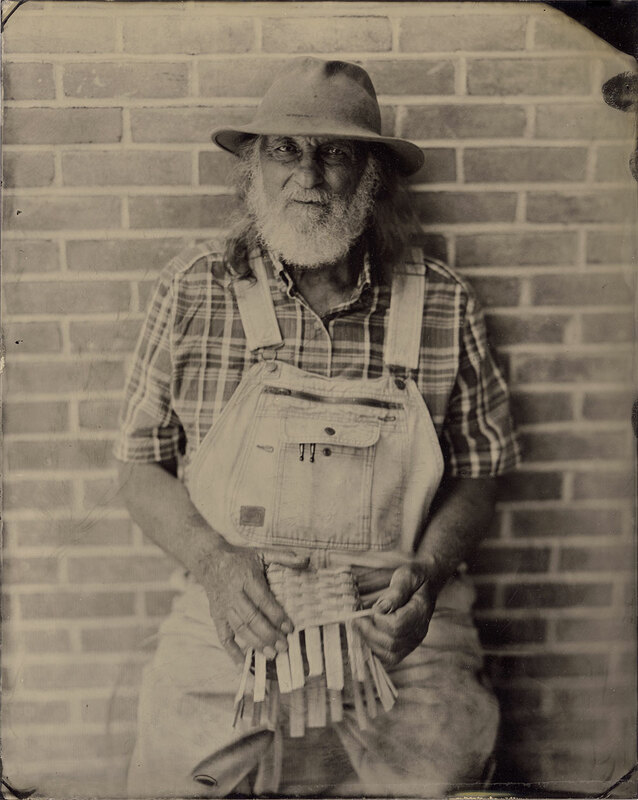 Since his retirement, Miller has continued to go to the woods for his craft and has been making white oak baskets for fifteen years. He also repairs chairs, weaves chair bottoms with hickory bark splits and hand carves wooden cooking utensils (treenware). 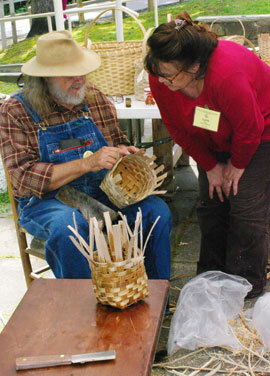 In addition to teaching basketry at Augusta, he demonstrates regularly at the Seneca Rocks Discovery Center.